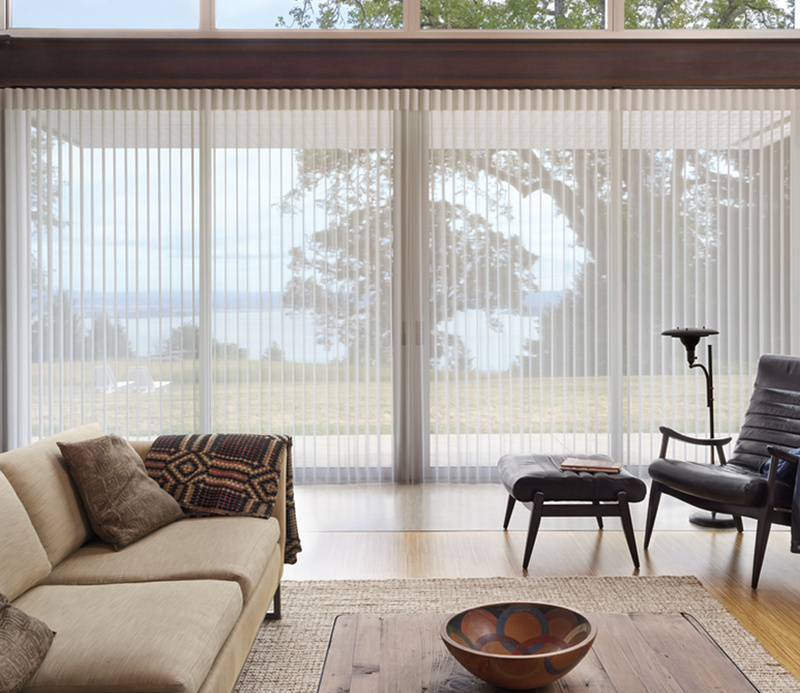 The soft, filtered light & dynamic view of sheer shades, with the appearance of drapery panels. 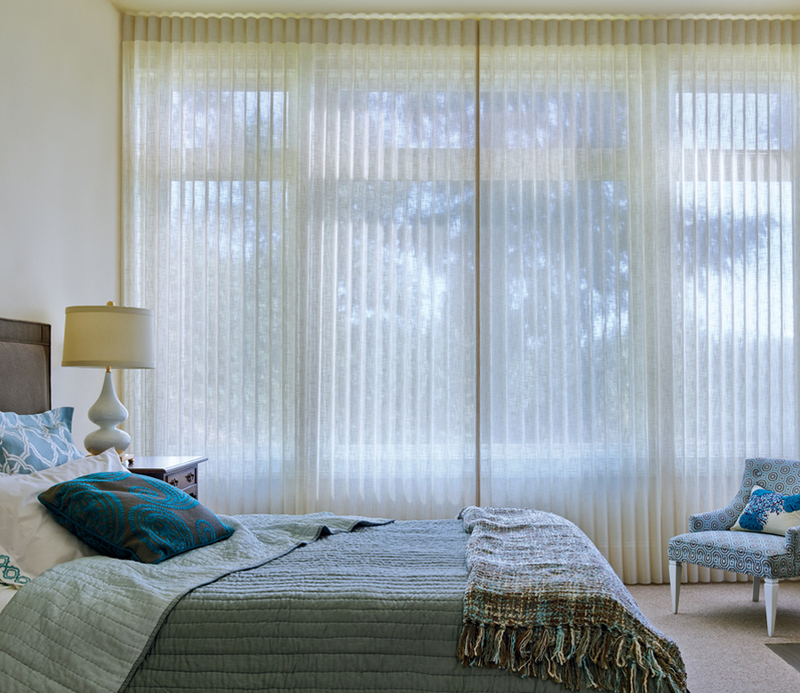 Luminette Privacy Sheers add flowing design and visual interest to your large windows and doors, but they operate easily–just like vertical shades. What’s different? The rotating vanes. 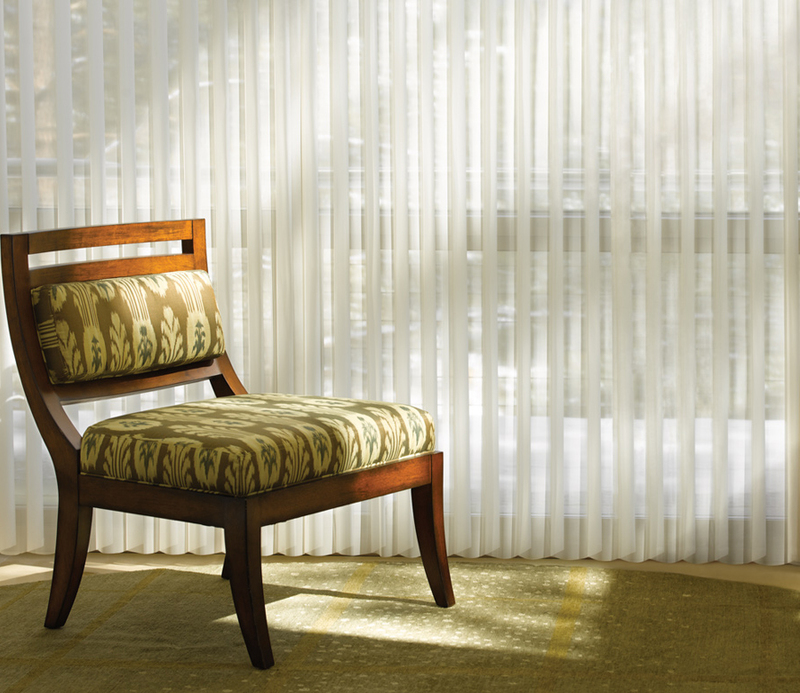 With a 180º rotation, the fabric vanes will transition from natural light with dynamic views, to room darkening privacy.